HomeNEWS & VIEWSPatient SupportShould you consider low-dose aspirin to reduce preeclampsia risk? ACOG supports the recommendation to consider the use of low-dose aspirin (81 mg/day), initiated between 12 and 28 weeks of pregnancy, for the prevention of preeclampsia for women with these risk factors. Most experts go further to suggest that any benefits are realized when aspirin is started early by 16 weeks. Are there risks to taking aspirin? 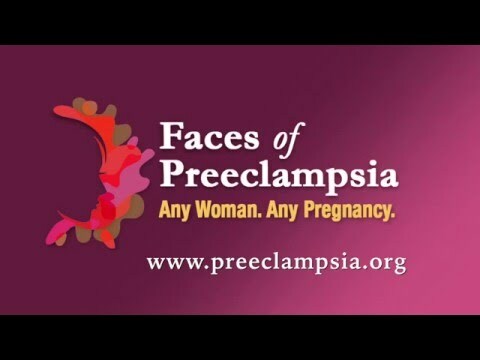 "The long-term effect of aspirin usage during preeclamptic pregnancies is actually one of the things we're collecting in The Preeclampsia Registry (www.preeclampsiaregistry.org)," said Executive Director Eleni Tsigas about the Preeclampsia Foundation's patient registry. "We'd like to see how offspring of women who took aspirin during their pregnancies fare many years down the road. There's no published data on this question." So what are the benefits? And for whom? The main audience for the use of aspirin is women with the above risk factors. Taking aspirin does not guarantee that you will not develop preeclampsia. It is simply one more thing that women can do with relative safety to reduce their overall risk. The USPSTF review took into account approximately 30,000 randomized subjects, which found a 2% to 5% reduction in the rate of preeclampsia. Both the USPSTF and ACOG acknowledge that tools to assess individual risk for the condition and to identify subgroups of mothers most likely to benefit are still needed. The USPSTF authors also agreed that preventing preeclampsia could reduce medical intervention in pregnancy and delivery. Preventing poor pregnancy outcomes could also reduce post-traumatic stress disorder and postpartum depression since preeclampsia is associated with poor maternal mental health outcomes. If you are considering a pregnancy after experiencing preeclampsia, it is important to discuss your individual risk of preeclampsia with healthcare providers properly trained to evaluate them. Healthcare providers understand that you are eager to do what you can - safely and effectively - to decrease your risk of developing preeclampsia. Do not start an aspirin regimen without first discussing it with your healthcare provider.